Your humble abode awaits you. This picturesque bed feels warm just to look at. 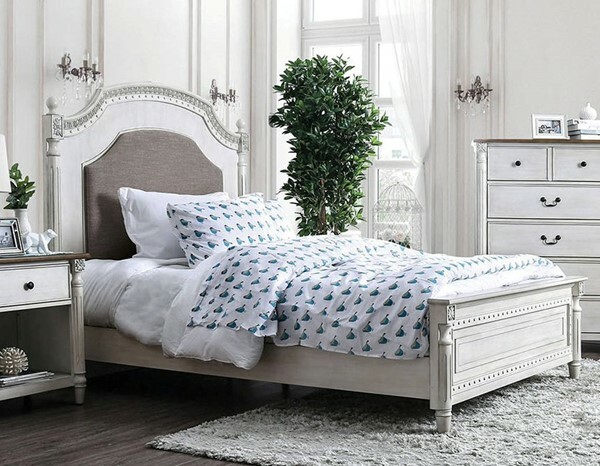 The antique white finish is welcoming and makes you want to stay in bed just a bit longer. Design choices like carved pillar style corners leading into turned legs, intricate wood trims, and round ball finials help establish a classic colonial aesthetic.